I was contacted to review an American Express Credit Card offer, but since there really isn’t a whole lot to review, I’m going to basically lay out the offer on the table and let you guys decide whether you’d like to apply for one or not. 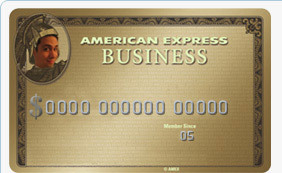 As mentioned at Bankaholic.com, American Express recently launched a very aggressive campaign for their Business Gold Rewards Credit Card. Just for signing-up, they are giving away free domestic round-trip airplane tickets. This isn’t a contest or draw; all successful applicants will receive a ticket. Well, actually American Express will credit your account with 25,000 points, which is then redeemable for a round-trip domestic plane ticket. 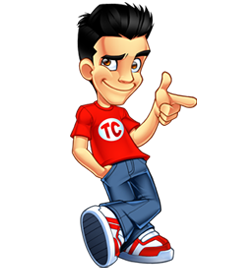 As mentioned on the site, people who do not wish to take the ticket can still cash in their 25,000 points for a $250 rewards gift certificate. You heard me rant a little in my recent post Four Eyed Monsters, Five-Digit Earnings about how I felt the two directors were stupid for funding their movie with credit card debt. I still believe that buying anything on credit is extremely stupid. But that doesn’t necessarily mean that credit cards are bad. As long as you always pay your bill on time, or better yet, do like I do and always prepay your credit card. That way, the credit card company actually always owes YOU money instead of the other way around. Then you can use the card’s convenience to your advantage, as well as the many perks credit cards offer, such as a free round-trip plane ticket in this case. Again, just remember to always pay it off. Never spend money you don’t have, at least not on a credit card where you’re paying 19+% interest. Getting back to the Business Gold Rewards Credit Card, there is an annual fee of $125 a year, but it is waived for the first year. If you do use the card for business, then that probably is a tax write-off. In addition, in order to be eligible for the 25,000 points, members must make a purchase on the card before December 31st, 2007. From what I can tell, this can be for anything… a dinner out…. groceries.. hell, a pack of gum should suffice. Welcome bonus points will be credited to your Membership Rewards account 6 to 8 weeks after your first purchase appears on your monthly billing statement, in case you plan on using the ticket immediately. So there you have it. It’s summer.. I’m planning on taking a vacation somewhere soon, if you are too, you may want to look into this offer… check out the American Express Business Gold Rewards Credit Card. Also important to note that this is not a credit card – it is a charge card. You have to pay it off every month (which is a good thing). After you write it off as a business expense the $125 turns into about $80…so if you cancel the card after 6 months you still make out ok.
I’ll also say that the gold card is nice to have – they have the personal concierge service that allows you to get dinner reservations, hotels etc often times when you can’t get it directly. also – wonder what the bounty is for this program – i’ve seen everybody writing about this card.